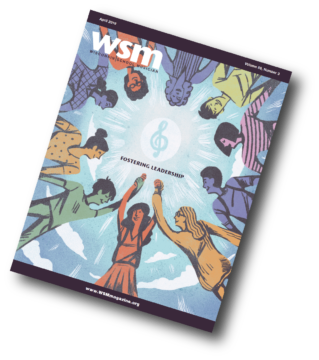 Each year, WSMA Festivals Committee members review festival rules and information based on feedback from WSMA member school teachers and our continued efforts to serve students well. Once proposals are refined through discussion and suggested revisions, the recommendations are taken to the WSMA Board for approval. IV.A.3. Concert festivals will be assigned three WSMA adjudicators or two WSMA adjudicators and a clinician of the festival manager’s choice. Comment: Non-WSMA clinicians should use a Comment-Only rubric (available in MyCenter>Concert Festival) or another form to record comments. IV.A.5. Sight-reading is not required; however, directors may request a sight-reading experience as part of the concert group festival. Comment: The festival manager must provide a sight-reading experience if time and space are available. Concert groups requesting to sight-read must submit an additional fee as outlined by the Dues and Fees Schedule (available at wsmamusic.org/fees). IV.B.1.c. ; V.B.1.c and V.C.1.c. Teachers may adapt music to accommodate students identified with special needs (i.e. 504 or IEP). 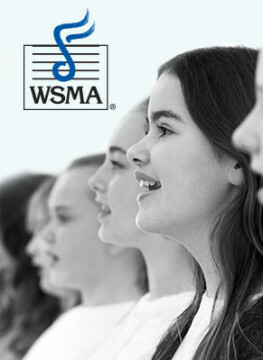 All adapted music and requested accommodations must be submitted to WSMA using the Permissions Request Form (available at wsmamusic.org/permissions). V.B.3. and V.C.3. The adjudicator must be provided with a publisher printed original of the matching, correct edition of the music. The use of legal electronically printed music is also permissible. Label all scores with school name, class entered and the soloist’s name. The numbering of measures is highly recommended, but not required. Music saved to an electronic device (Such as an iPad) is not permissible for the adjudicator. Teachers and students should follow federal copyright laws in providing music for all performers. Public domain music (ie. IMSLP) must be submitted through permissions as an alternate edition. Legally purchased e-print music should have “This music was purchased by (name) through (music publisher/website) or similar printed on the top of each page or on a separate cover page. If no statement or cover page is provided by the publisher, attach a proof of purchase. POP music requires original, legally purchased music. Transfer only allowed from 1311 or 1321. See rule VI in the WSMA Festival Rules for information about permissions, transfers and student compositions. Students may enter up to three vocal solos: one from Event 1111, 1121, 1211, 1221, or 1231; one from Event 1311, 1321 or 1331; and one from Event 6211. A student is required to perform a Class A 1231 solo in a WSMA District Festival to enter and perform in Event 1331. This is a Class A event only. Event 1331 has no restrictions on transposition. The entire performance must be done in character. Small props are allowed, but not required. The use of sets, backdrops, special stage lighting, or other people as part of the performance is not permitted. Memorization and accompaniment (live or prerecorded) are required to receive a rating in Events 1311, 1321 and 1331. As in all Solo & Ensemble Events, students performing in Events 1311, 1321 and 1331 will give an introduction. This introduction should include: performer name, accompanist name, name of school, title and composer of the selection to be performed. Instead of describing a significant aspect of the piece, students should establish the scene and given circumstances by describing the character singing and purpose of the song. Students may do this in character or as a narrative. The introduction does not need to be memorized nor is it part of the overall rating. Stylistic choices that differ from the score are permissible but not required. 9. As in all Solo & Ensemble Events, students performing in Events 1311, 1321 and 1331 will give an introduction. This introduction should include: performer name, accompanist name, name of school, title and composer of the selection to be performed. Instead of describing a significant aspect of the piece, students should establish the scene and given circumstances by describing the character singing and purpose of the song. Students may do this in character or as a narrative. The introduction does not need to be memorized nor is it part of the overall rating. 3. For 2 – 28 recorder players. 6. Sing through the head (verse) once, then improvise the minimum to maximum number of choruses indicated in the parentheses. After improvising, sing the head once and finish the piece. 7. Vocal percussion should be performed by a student from within the ensemble. 8. If vocal percussion is marked optional, it is NOT required for performance. 4. At least one student must solo on one of the selections. a. Class B&C: Solo may be written, transcribed or improvised. b. Class A: Solo must be improvised. 3. For any combination of 3 – 12 instruments and/or voices. 5. Both selections are required to have improvised solos. i. Class C – At least one soloist must perform a minimum of 12 measures for both selections. ii. Class B – At least two soloists must improvise for a minimum of 24 measures each for both selections. iii. Class A – At least three soloists must improvise for a minimum of 24 measures each for both selections. 4. Music must have a minimum of 3 parts.